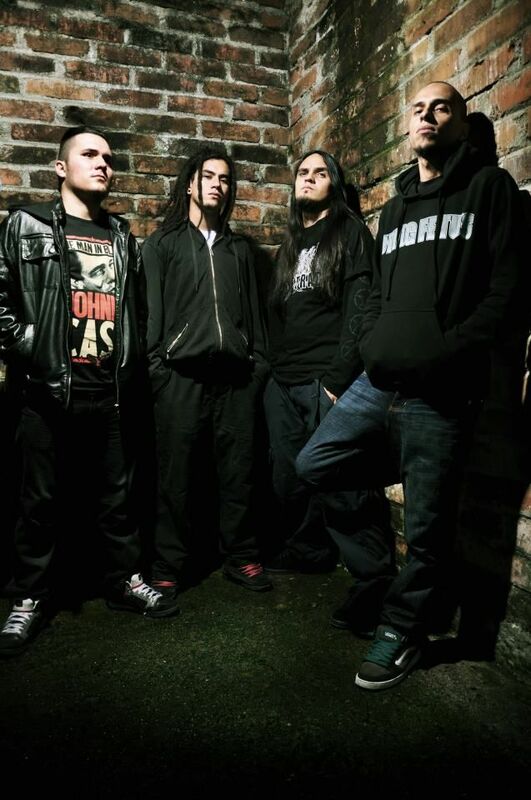 GORETRADE born in 1999 Between 2000 and 2001 GORETRADE begins to be felt from the scene of Brutal Death Metal scenel, appearing in a number of festivals in major cities throughout the country. During those years the band recorded their first 2 professional musical productions. Carnal-Split CD (Colombia) -Split CD with Corpsefucking art (Italy) In 2003, the band signed with European label Displeased Records as one of the few bands Colombian expecting this support, so sharing under this production with bands like Cryptopsy, Deeds of Flesh, Devourment, Dying Fetus, Necrophagia, Sadus, among other. In that year the Band traveled to New York - United States to record what would be the 3rd studio recording and their first full lenght RITUAL OF FLESH and play some local shows. The release of this album opened many doors for the band to return to Colombia, performing well in the most important festivals of the genre, usually as main band. Early in the year 2006 released their 2th full lenght entitled PERCEPTION OF HATE, getting this very good reviews nationally and internationally. In promotion of this album he toured the main cities of Colombia. In late 2006, the band launches into their South American tour scheduled SHADES OF TRADE to bring the promotion of new material by Ecuador, Peru, Bolivia, Chile and Argentina. In 2007 the German web portal specialized GUTTURALZINE GORETRADE nominated as one of the best Brutal Death metal Bands GORETRADE the end of 2007 is invited to participate in the festival CALIFORNIA DEATH FEST. Fresno - California - USA, The same year the band shared the stage with the giants of death metal CANNIBAL CORPSE world in Quito - Ecuador. in 2010 the band released their third album entitled "mistaken Conception" which was well received by metalheads and the press. the promotion of this album was to reference a lot of shows around Colombia, and parts of South America, playing shows alongside Krisiun, Cerebral Bore, Malignancy among others. At this time the band signed to SEVARED RECORDS to release their fourth album called " Doomsday device" . In this moment the band is getting ready to start their first European tour , visiting countries like Germany , Italy , Czhec Republic , Israel , Netherlands Sweden between others.